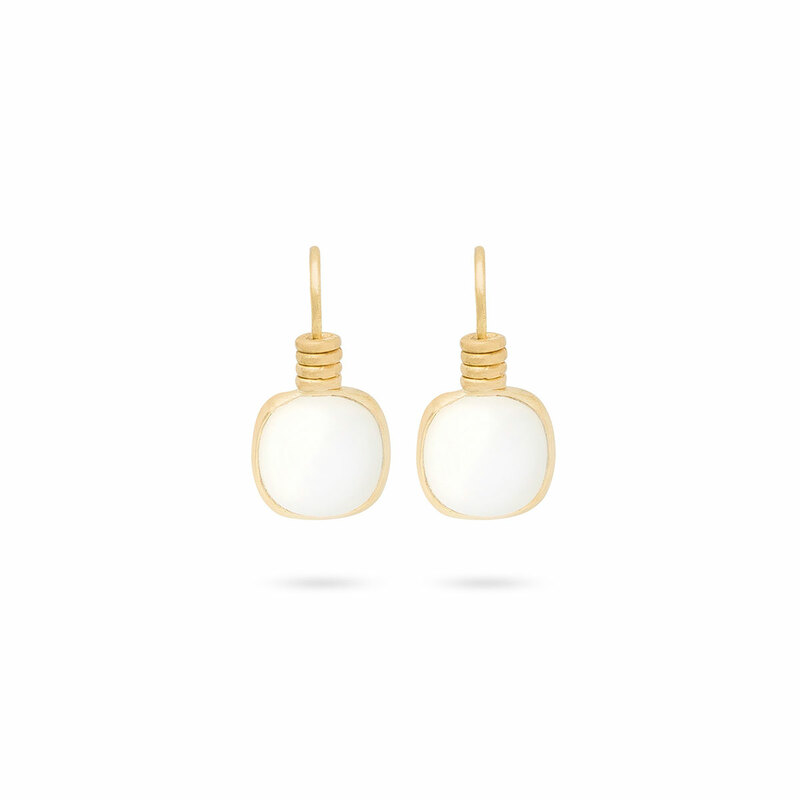 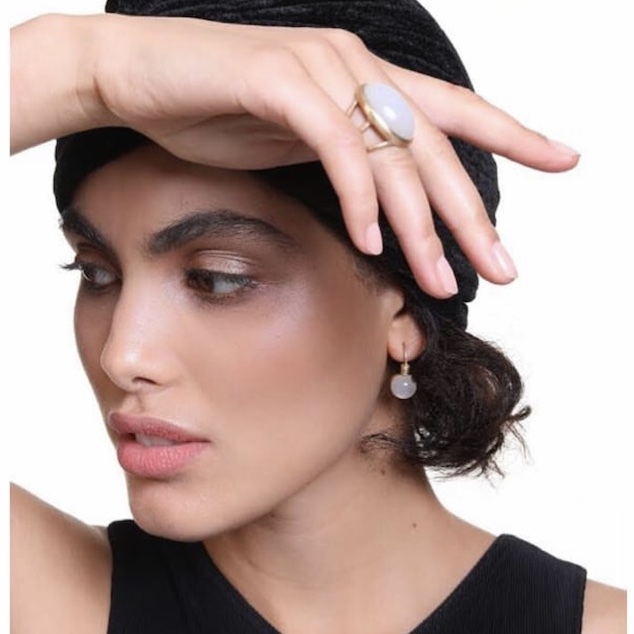 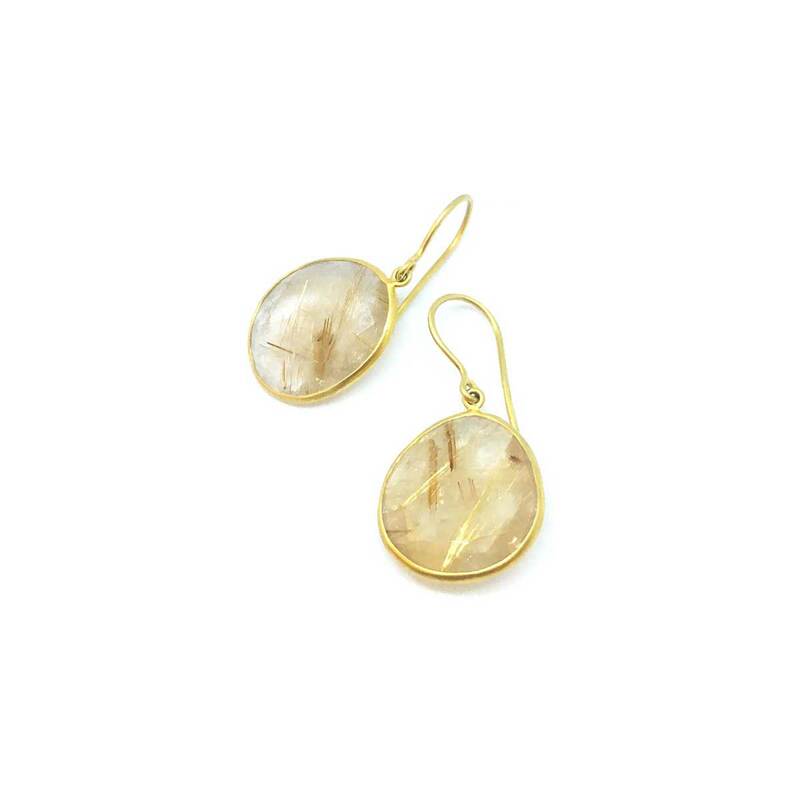 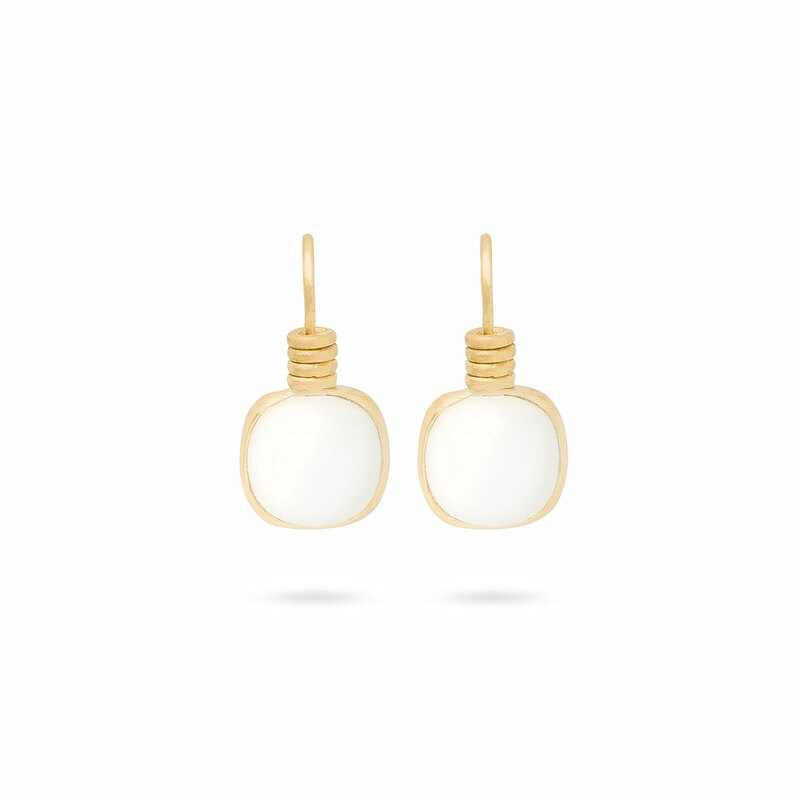 White cabochon chalcedony stones set in sophisticated 18K brushed gold with added gold detail atop provide a refined yet fresh take on the classic drop earring and truly set these earrings apart. 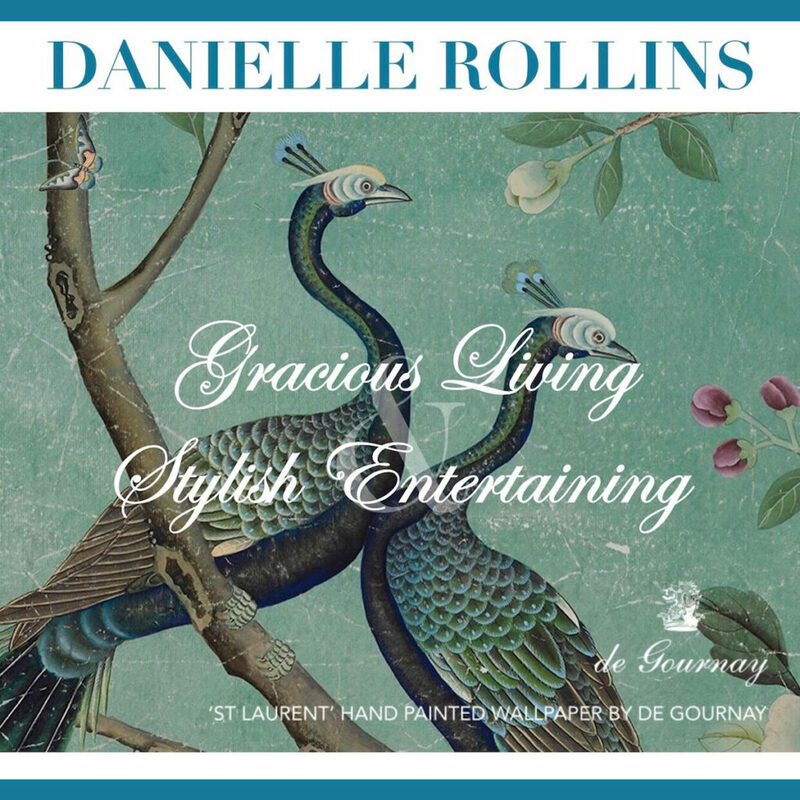 Handcrafted in Belgium. 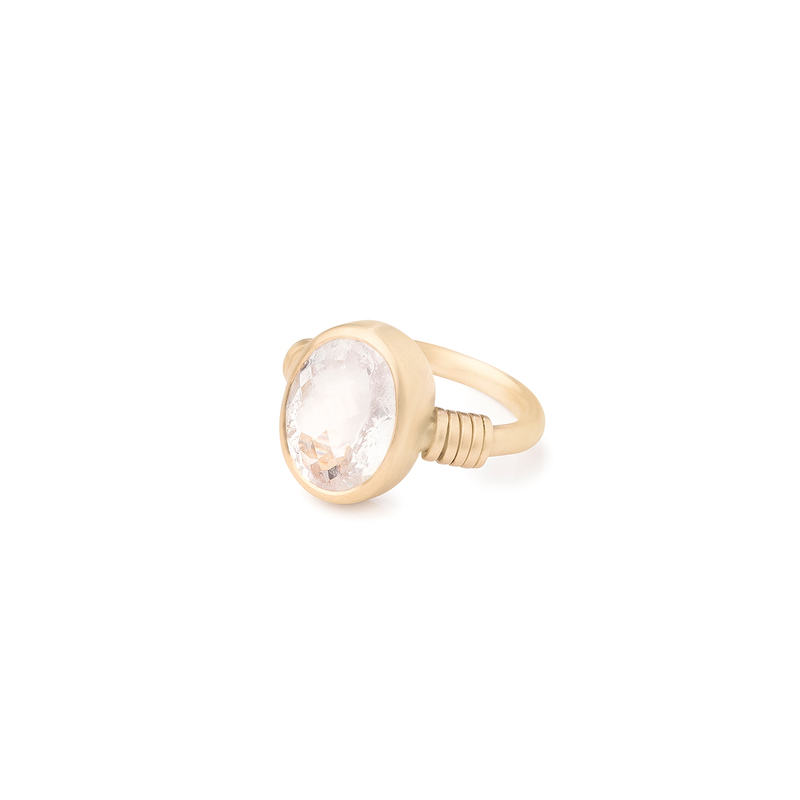 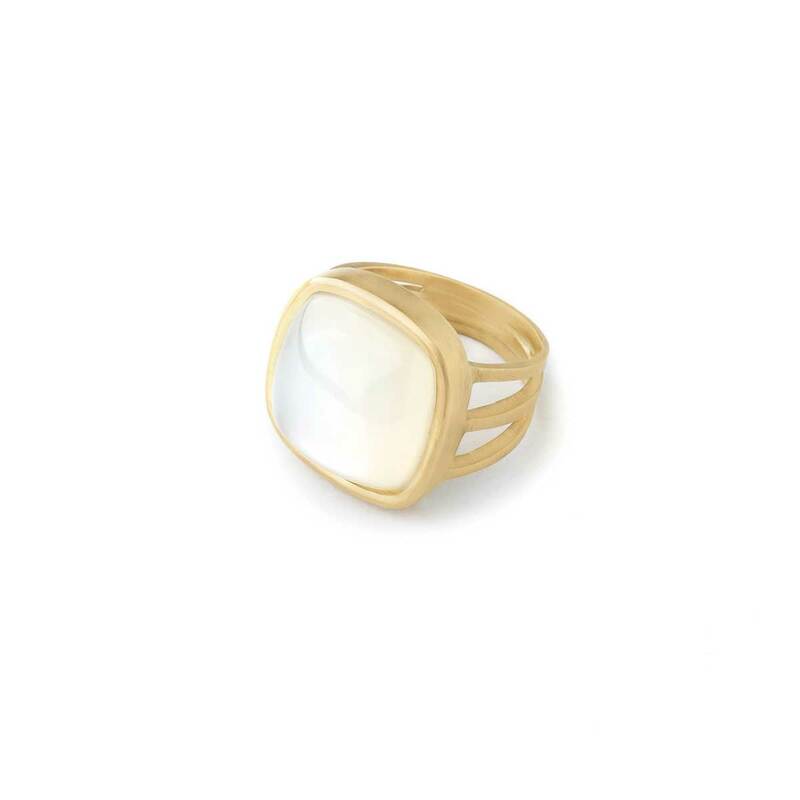 White chalcedony is 0.4 inches long and 0.4 inches wide. 0.85 inches long including ear wire. 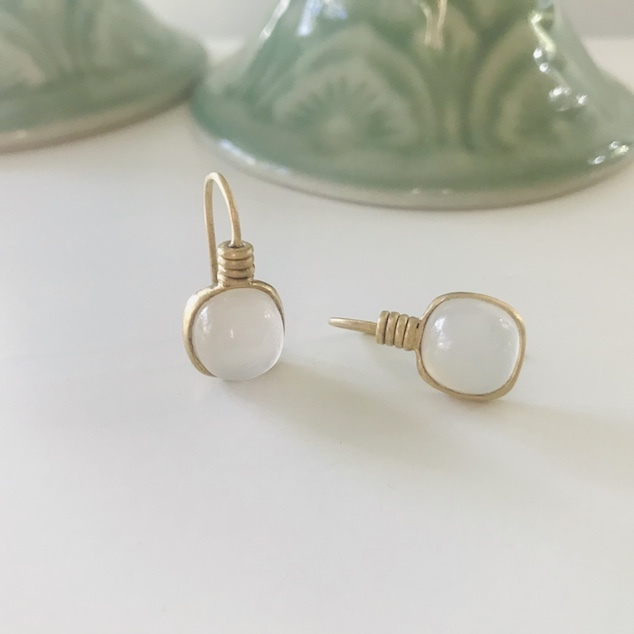 We love the unique look of these white chalcedony drop earrings that are both unique and fresh yet still very refined and classic.